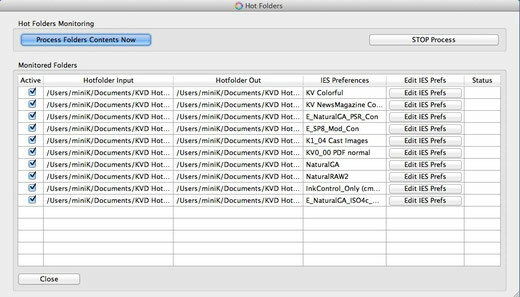 Kolor-D Hotfolders is designed for automatic workflows applicable to the Graphic Arts industry as well as media service houses. 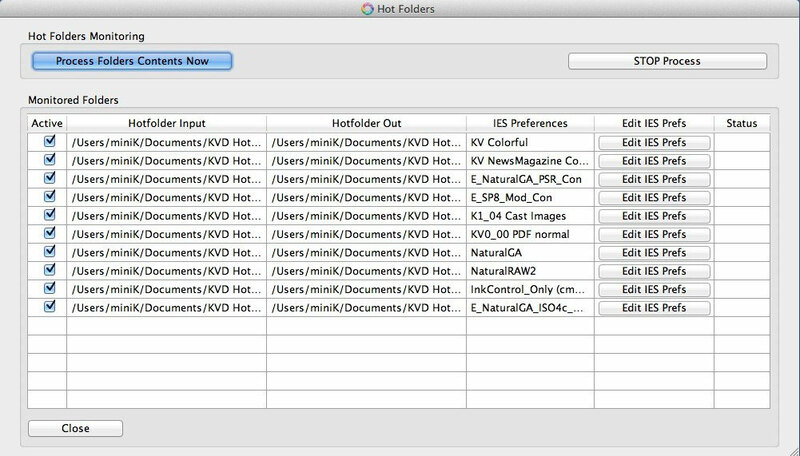 In addition to IES features Kolor-D Hotfolders possesses automatic workflow capabilities. A user can define both an Input and Output Hotfolder, allowing the system to first, consecutively monitor and edit sets of photos upon arrival, before transferring the enhanced set to a predefined Output folder, for further production. The expert system can detect a command string provided with a set of pictures and act upon those instructions.